Click here for Florida interactive Solar Census. 25 U.S. cities have now committed to transition entirely to clean and renewable energy between 2030 and 2035. Cities including cities like St. Petersburg, San Diego and Salt Lake City, and smaller towns like Georgetown, Texas and Abita Springs, Louisiana, are among the places that have made the commitment. “Solar jobs are on the rise and clean energy is putting people to work in cities across our state. We can and must go further in creating more opportunity and expanding prosperity for Floridians by doubling down on clean and renewable energy like solar. 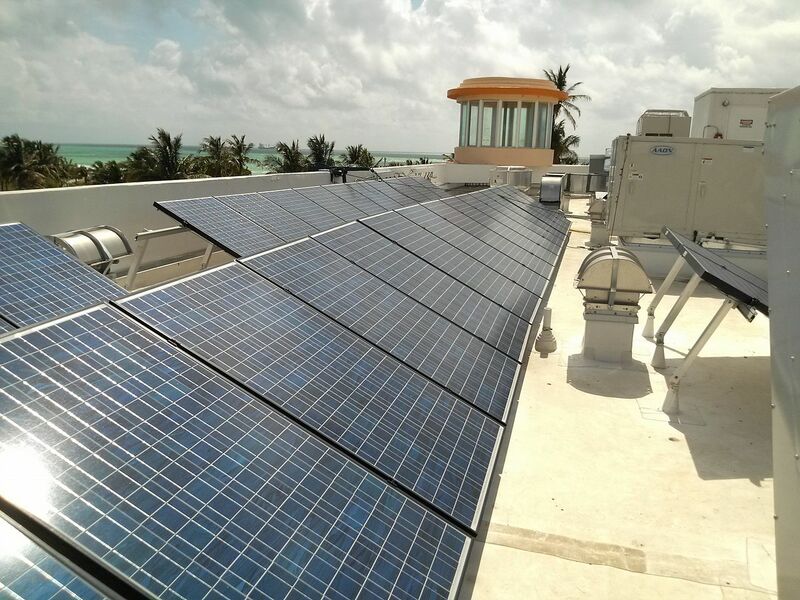 Now is the time for action and for the mayors of Florida cities to stand on the side of more jobs by supporting the goal of 100 percent clean energy,” said Frank Jackalone, Sierra Club Florida Chapter Director. 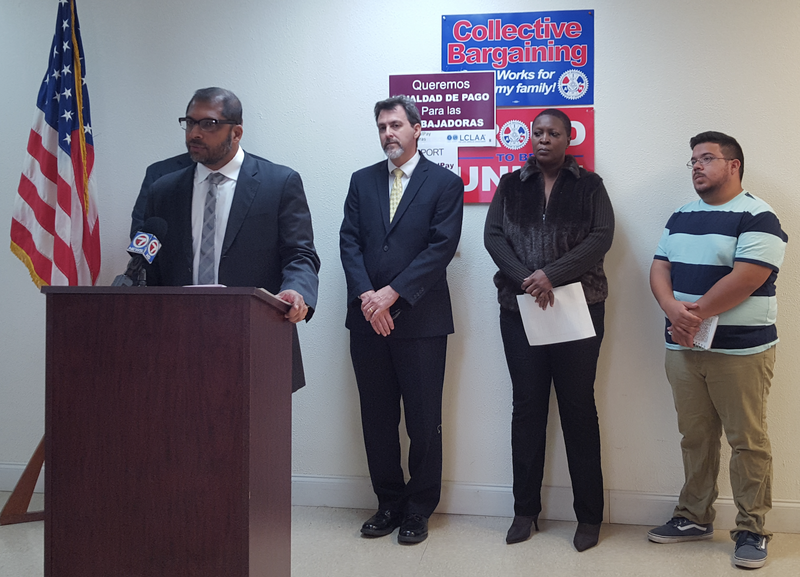 “While the Trump Administration turns its back on fighting pollution from fossil fuels, we can step up by protecting our communities' health and boosting our economy here in Florida. Transitioning to clean energy like solar will spur innovation, launch new businesses, create good-paying jobs, and drive economic growth that benefits all Americans. 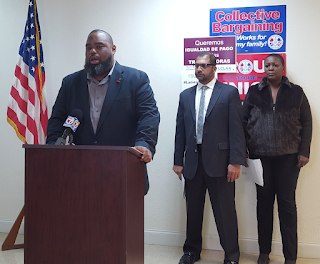 With more and more jobs being created in the growing solar industry today, now is the time for Florida Mayors to go all-in on clean energy in our state,” said Phil Compton, Sierra Club Senior Organizing Representative Sierra Club Ready for 100 Campaign. Solar jobs listed in the report include both installation and construction jobs and non-installation jobs, including manufacturing, sales and distribution, project development, and other occupations that support the solar industry. “State-by-state and city-by-city, our nation is moving away from polluting fossil fuels toward an economy where solar is powering our homes and putting people to work. As we transition towards more clean energy, we must ensure that the benefits of a new 100 percent clean energy economy are equitably shared and that the jobs and opportunities created by clean energy provide living wages, healthcare benefits, and union representation for workers,” said Compton. In February, The Solar Foundation released its 2016 National Solar Jobs Census, which found that the U.S. solar industry employed 260,077 workers. This figure includes the addition of over 51,000 solar workers over the previous year, representing a 25 percent growth in employment from 2015. Over the next 12 months, employers surveyed expect to see total solar industry employment increase by 10 percent to 286,335 solar workers. The Sierra Club is America’s largest and most influential grassroots environmental organization, with more than 2.9 million members and supporters nationwide. In addition to creating opportunities for people of all ages, levels and locations to have meaningful outdoor experiences, the Sierra Club works to safeguard the health of our communities, protect wildlife, and preserve our remaining wild places through grassroots activism, public education, lobbying, and litigation. For more information, visit http://www.sierraclub.org. Miami, FL - Today in Miami, ahead of Monday's Senate hearings on his nomination, Miami leaders gathered to denounce Donald Trump’s Supreme Court nominee Neil Gorsuch. Gorsuch has made clear that he’ll put the interests of the wealthy and powerful above the rights of ordinary Americans. For Our Future joined representatives from Emerge USA, Sierra Club, SEIU 32BJ and New Florida Majority to discuss how, on the nation's highest Court, Gorsuch would prioritize the interests of corporations at the expense of everyday Americans and threaten the safety, stability and rights of Muslim, immigrant, black, and middle class communities. Judge Gorsuch has a troubling record of consistently favoring the wealthy and powerful whether the power lies with wealthy corporations, the police, a supervisor, or those trying to perpetuate religious and racial discrimination. Gorsuch was part of the original Hobby Lobby ruling that said corporations are people and can refuse birth control coverage to their employees on religious grounds. He ruled that it wasn’t excessive force when a police officer killed a young man with stun gun for fleeing although the man hadn’t committed a violent crime and has argued that it should be harder for regular people to band together in order to hold Wall Street and huge corporations accountable for fraud and other wrongdoing. At a time when the President is openly attacking the independence of our judiciary and implementing unlawful and un-American immigration policies via executive order, now more than ever we need independent judges who will be a check on President Trump when he violates the law or the Constitution. Unfortunately, Gorsuch’s troubling history of deference to executive power shows that he will not be that independent voice. Trump outsourced his nominee search to right-wing organizations with a political agenda out-of-step with the values of most Americans. These groups hand-picked Gorsuch, calling into question his independence and commitment to fairness and an open mind. Gorsuch is not helping ease those concerns with his refusal to answer fair and direct questions from Senators about his legal philosophy, deliberately keeping the American people in the dark about his judicial approach and what kind of justice he would be. Nearly 150 people rallied before a hearing at Dunnellon City Hall last week to protest a state plan to weaken protections for the Rainbow River, a north-central Florida treasure. The crowd waved signs such as "Over My Dead Body," against the plan to allow an additional 5% loss of water flow from the already suffering Outstanding Florida Waterway. 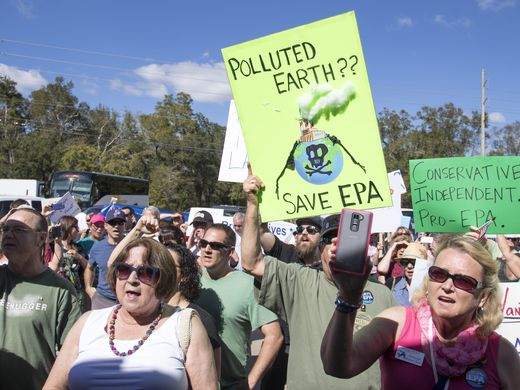 At an outdoor pavilion near the protest, Dr. Robert Knight, President of the Florida Springs Institute, said Rainbow River has been stretched beyond its limit by over-pumping and nitrate pollution and cannot be further tapped. 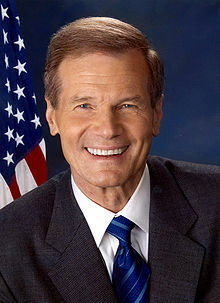 He critiqued the Southwest Florida Water Management District recent scientific draft Minimum Flow and Levels (MFLs) as insufficient. Only 98 individuals were allowed seating for a panel discussion on the draft rule at City Hall. Fifty more people had to stand at the front door, straining to hear a presentation from a Southwest Florida Water Management District staffer. Legislation dictates that the MFL for Rainbow River be approved at July 2017, but a critical peer review by University of Florida scientist Dr. Matthew Cohen, Geologist and environmental scientist Lee Wilson, Ph.D and retired USGS groundwater specialist Dann Yobbi said the document called for more guidance and study. It said the draft showed conflicting results and recommended capping future withdrawals until water quality issues are effectively addressed. The flow rate on the Rainbow River has dropped 40% since 2000 despite the state recognizing this majestic 5.7 mile stretch as an Outstanding Florida Water (OFW), an Aquatic Preserve, and a Surface Water Improvement and Management (SWIM) priority. At the federal level, Rainbow Springs is a designated National Natural Landmark. And still, we learned at this meeting that the SWFWMD staff's recommendation allows 5% of the historical flow which on average amounts to 22 million more gallons per day extracted! No new excessive water use permits are what the science really shows to a water body which is already in harm's way. The Southwest Florida Water Management District Governing Board is expected to vote on the proposed Rainbow River MFL on March 28, 2017. 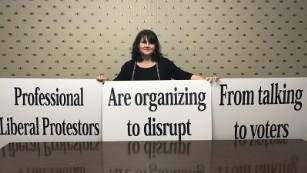 Location of meeting: SWFWMD Headquarters, 2379 Broad Street, Brooksville, FL 34604-6899. "Reclaim Florida's Future for All," a clean energy and environment lobby day in Tallahassee on Wed., March 22 - Save the Date! 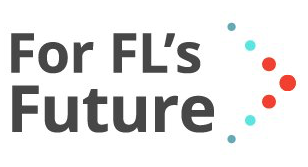 Activists from across the State will urge Florida Legislators to support important energy and environment bills in Tallahassee on Wednesday, March 22 at "Reclaim Florida's Future for All!" The lobbying event is being hosted by Rethink Energy Florida, Sierra Club Florida, Environment Florida, Food and Water Watch Florida, Floridians Against Fracking, Organize Florida, Florida Conservation Voters, Physicians for Social Responsibility Florida, Urban Paradise Guild and other groups. 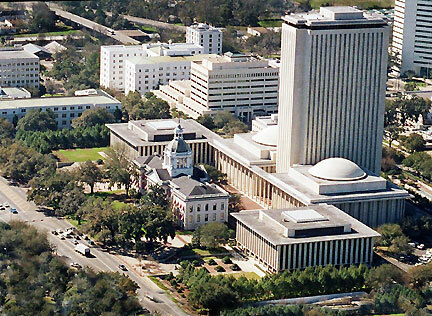 This is a great opportunity for Floridians to make their voices heard by speaking directly with their elected officials on key energy and water issues facing Florida. Each sponsoring organization is working on critical issues facing our state. This is the perfect opportunity for us to come together and fight to protect clean water and clean energy. Also on March 21, Florida Conservation Voters invites attendees to attend the second showing of “Catching the Sun” for a special price: free! Banning Fracking in Florida: This extreme extraction method poses risks to our environment and does not benefit the people of Florida. We don't want to see what happened in Naples happen anywhere in Florida again! 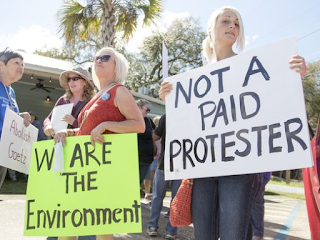 Protection of Florida’s Waters: From the Panhandle to the Keys, Floridians demand clean water. Our springs, rivers, estuaries, lakes, bays and Everglades will continue to degrade, and threaten our health, quality of life, and economy, until decision-makers buy the land needed to restore and protect our watersheds. And please spread the word! Don't miss this special event! More than two dozen Sierra Club members and supporters turned out to confront Congressman Matt Gaetz at at his Town Hall meeting in a Pensacola, Florida, bowling alley last Thursday for drafting a bill to abolish the EPA . They were part of a boisterous, infuriated crowd of 500 squeezed in between pool tables at Oops! Bowling Alley. Speaker after speaker asked Gaetz to withdraw his EPA elimination bill and questioned why someone who represents Pensacola and Emerald Coast beaches, some of the country's most pristine, would seek to dissolve the very agency that protects them. 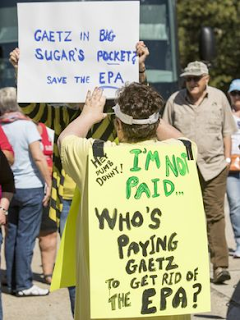 Mr. Gaetz said if the EPA was abolished, its $8 billion budget would be "repatriated" to the Departments of Justice, Defense, and Agriculture triggering a chorus of boos from the audience. 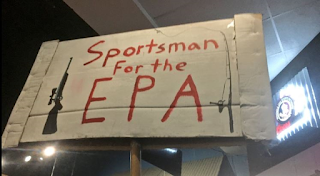 "As long as I'm your member of Congress, I'm going to fight for the environment and against the EPA," he said to another deafening round of boos. Constituents held signs that read "Protect People not Polluters," and "#SaveTheEPA." and at times chanted, "E-P-A, E-P-A, E-P-A..."
The meeting, for which Gaetz arrived half-an-hour late, was terminated by the Congressman early. Gaetz had threatened to pull out these sign before the Bowling Alley Town Hall. 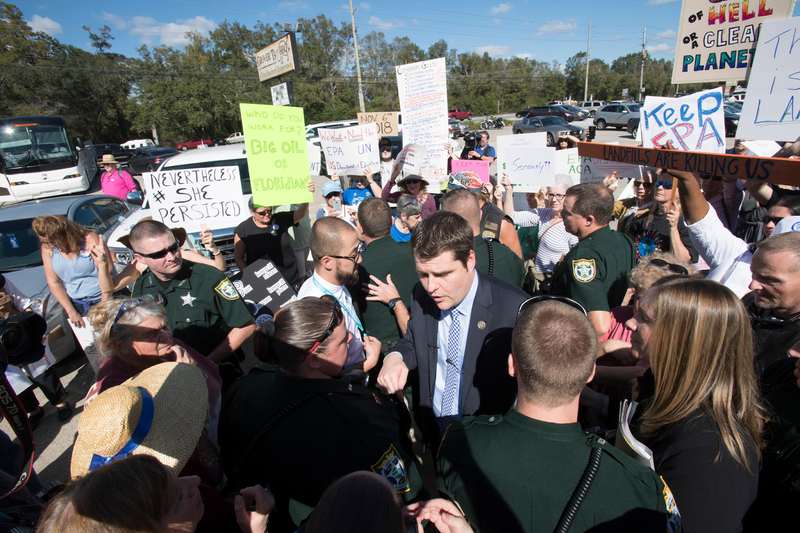 Those who hunt and fish were not happy with Gaetz's bill.